for $2,495,000. This home was built in 2006 on a lot size of 0.0551 Acre(s). Premium construction and a thoughtful floor plan make this home a must see. Zoned R-2 with a City of Newport Beach permit allowing short-term vacation rentals already in place, and sited just steps from both the beach and the bay this cheerful, turn-key home with a classic coastal decor functions perfectly as either a full time residence or weekend beach retreat. Newly constructed in 2006 and freshly updated the spacious home of over 2700 square feet offers three en-suite bedrooms, as well as a large bonus/family room, fully equipped island kitchen with large walk-in pantry and adjoining dining or den area, formal living room, two fireplaces, and a large roof top deck. Abundant crisp white wainscoting, beamed ceilings and crown molding detail are the perfect compliment to creamy limestone and rich hardwood tones throughout the home. The welcoming master suite with vaulted ceiling adjoins a spacious dual-vanity bath with soaking tub, separate shower, and large walk-in dressing area closet. An incredible third floor roof top terrace unveils a panorama of endless views and provides the the perfect outdoor entertaining venue. 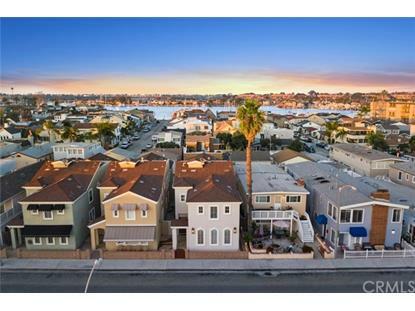 Central air-conditioning, a two car garage, second floor laundry room, and abundant storage complete this well-conceived seaside home. 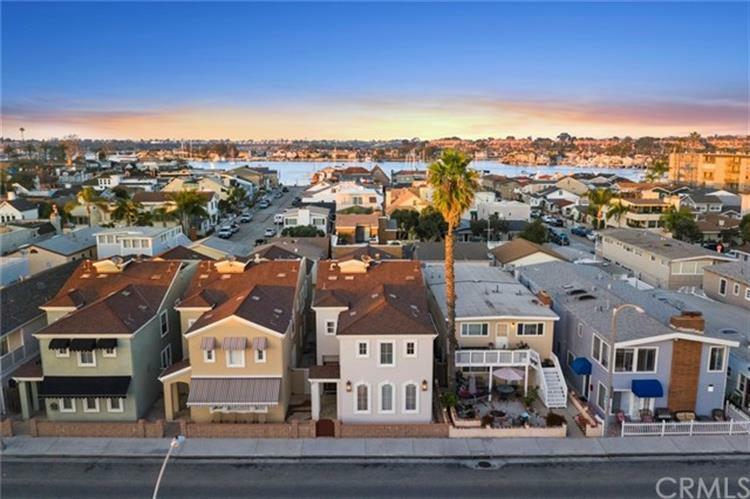 Embrace the Peninsula lifestyle and enjoy being just a short stroll from the Balboa Island Ferry, nostalgic Fun Zone, shops, restaurants and one of the West Coast's best beaches.